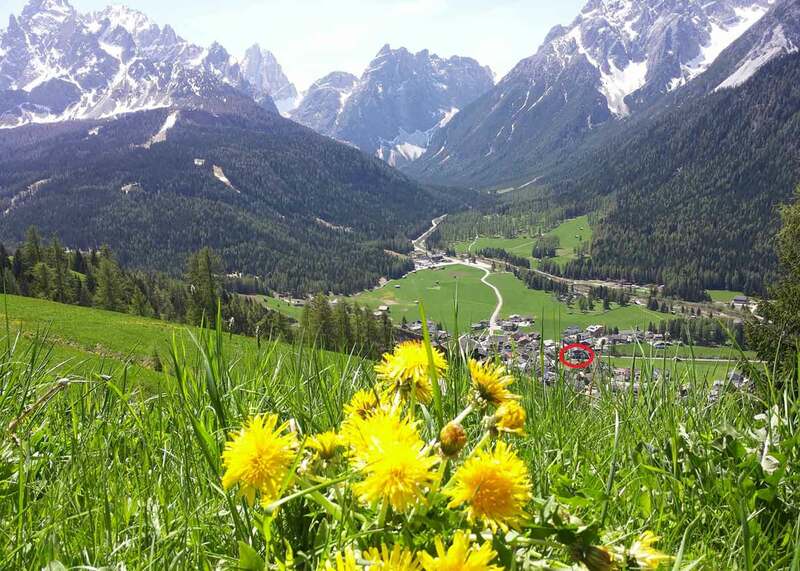 Wellbeing in the midst of Sesto Dolomites! Clip on your skies and… go! 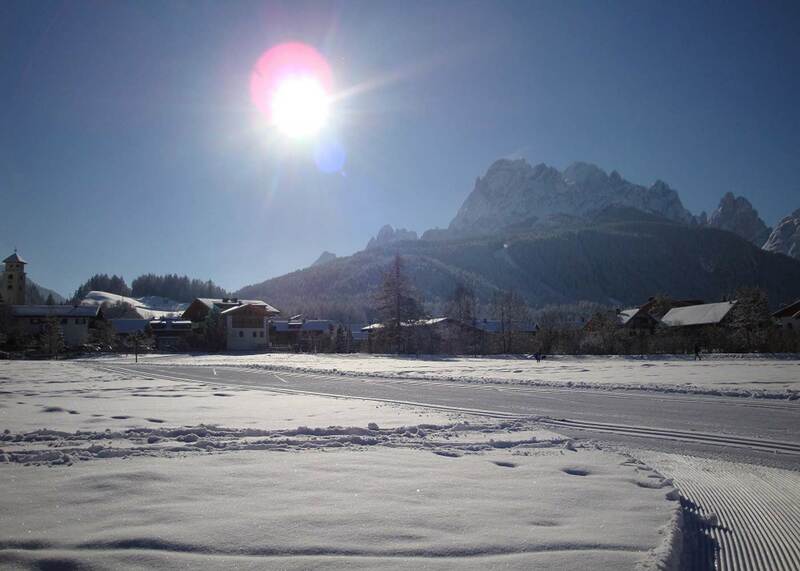 From our holiday home, you can directly take ski tracks to Val Fiscalina, San Candido or simply enjoy the Sun roundtrack, over 200 km of well-prepared ski tracks are at your disposal. 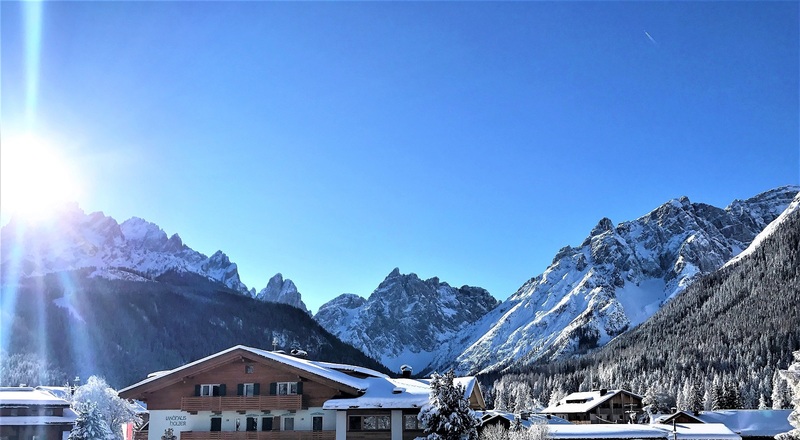 You can reach everything without car: alpine ski slopes, walking paths, shops, bars and restaurants, bakeries, sport centre, ski rental, etc. 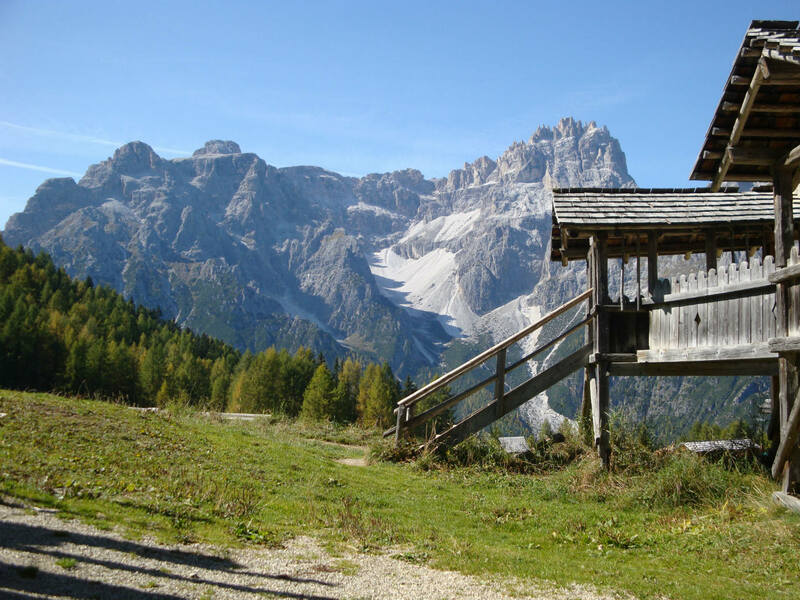 the bus stop is only at 30 m.
…and the breathtaking view from our sun deck to the world-famous Sesto Natural Sundial and the surrounding impressive Dolomite peaks. 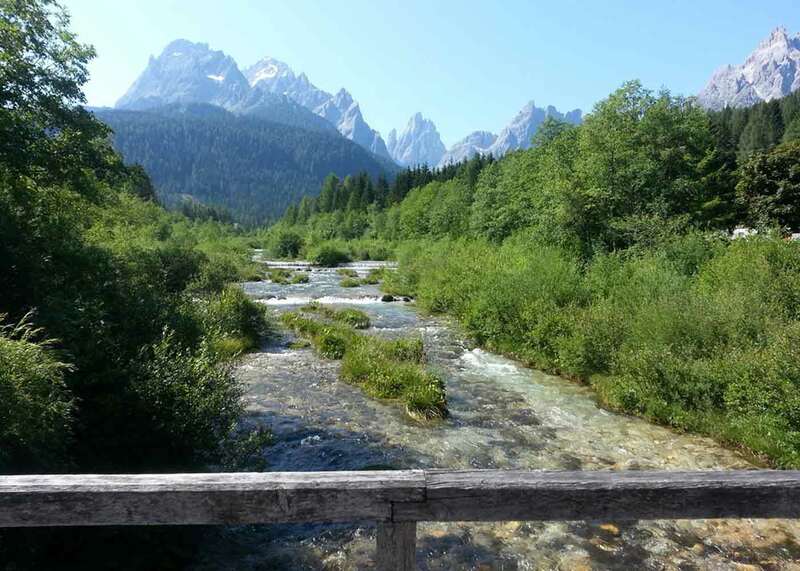 Directly from our house starts the idyllic walking path along the Sesto river: from here you can easily reach Val Fiscalina or you can take several hiking paths around Sesto and surroundings where beautiful nature will be your constant companion. You don't need your watch! Just have look at the majestic mountain peaks: Peak Nine, Peak Ten, Peak Eleven, Peak Twelve, Peak One. They are part of a unique spectacle of nature: the largest stone sundial in the world. 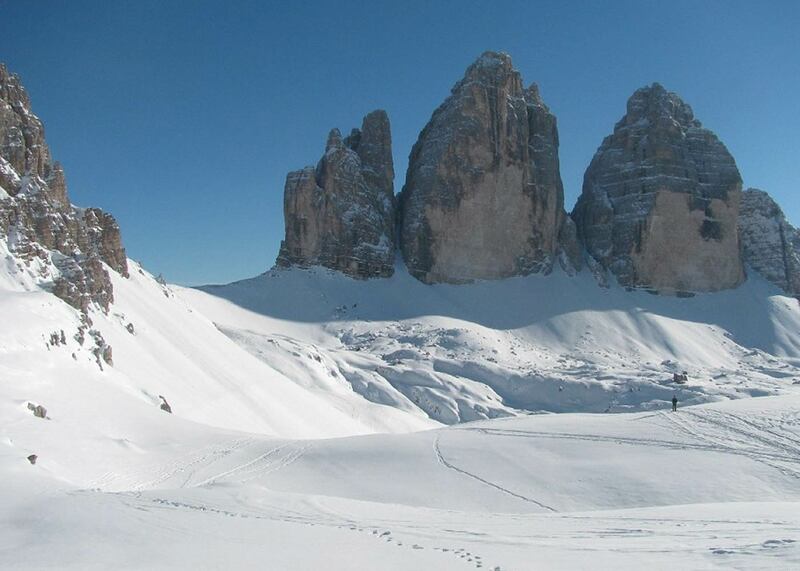 The connection ski-lift at only 100 m, will take you to the ski area Tre Cime with more than 90 km of varied pistes with stunning views to the Dolomites! Everything that children need! 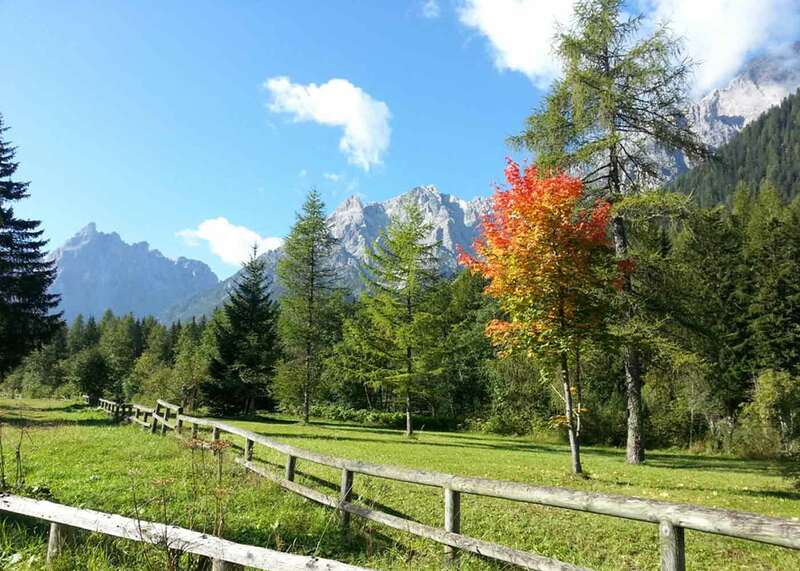 Exercising and playing in the open air natural playground, surrounded by a picturesque larch forest, at only 150 m distance, with varied outdoor facilities and activities for children of every age. At a holiday stay of minimum 14 nights in high season, our guests get a voucher per person of free entrance in Mountain Resort Patzenfeld indoor swimming pool. to the surrounding Sesto Dolomites. LANDHAUS HOLZER - the best choice for your well-deserved holidays!